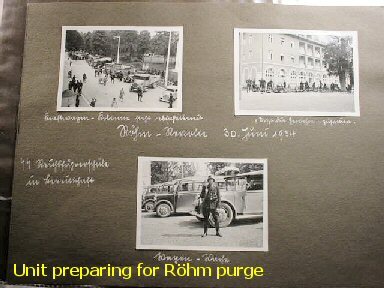 DESCRIPTION: This is a group of photographs that have been received by Germania International, LLC in our last trip to Europe. 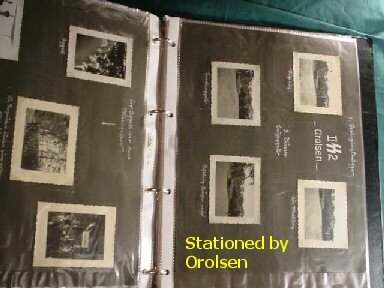 The relative of the late man took the pictures out of an old album, that had seen better days, and remounted them in plastic page protectors and assembled them in a 4-ring binder. 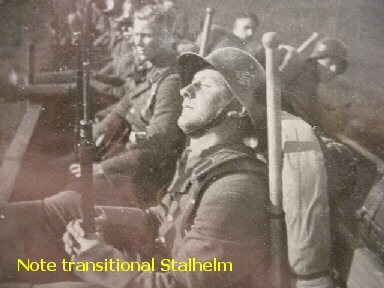 On the back of the first picture in the created (is "new" better?) 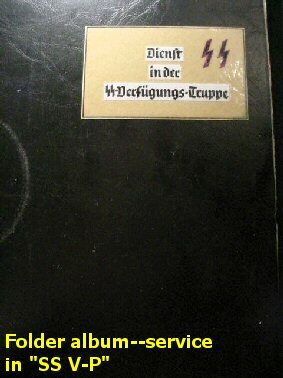 is an in-memory-of-our-comrades quotation and it is signed "Rudolf Hoffmann." 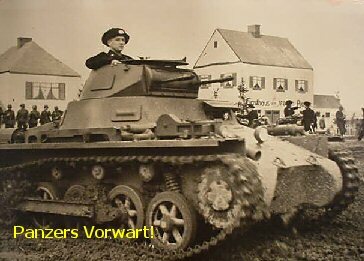 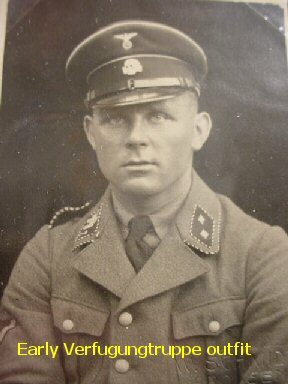 The picture is an original of a young - Verfügungs trooper of lower rank. 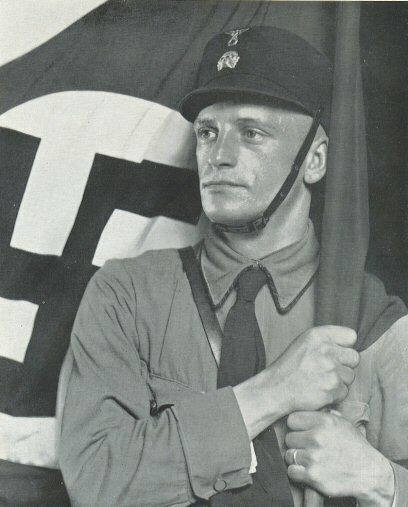 Surrounding this picture is a saying by the Reichsführer- Heinrich Himmler: "The now expects that you be an example to your comrades in the Allgemeine-. 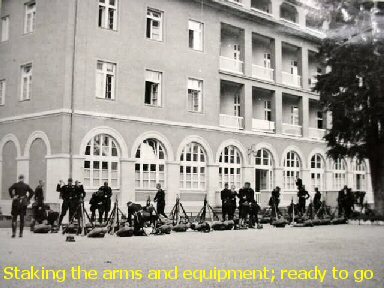 (examples) attention to duty and untiring readiness for service." 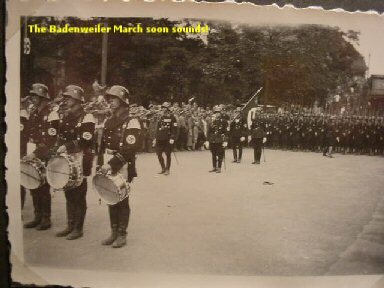 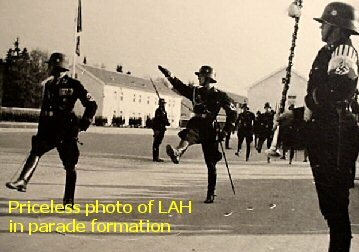 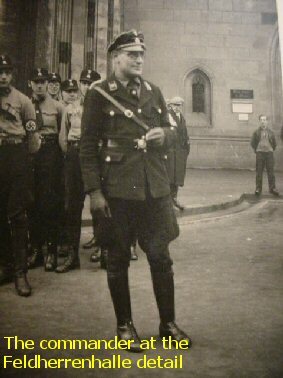 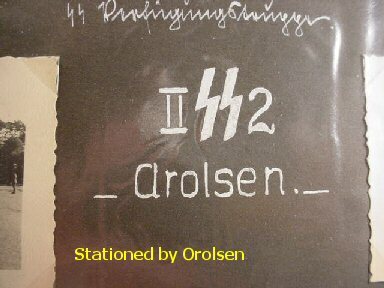 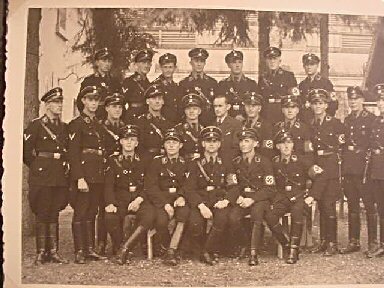 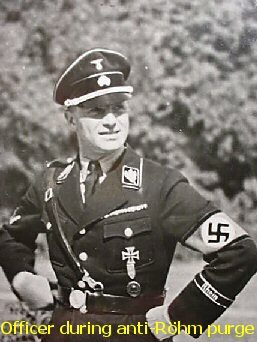 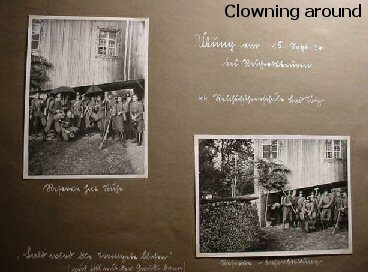 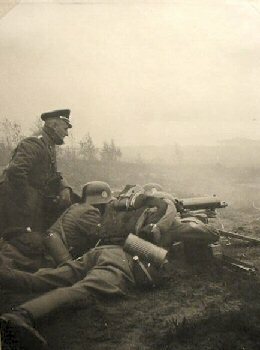 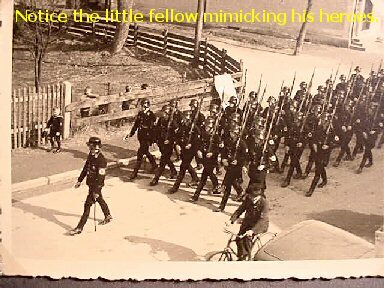 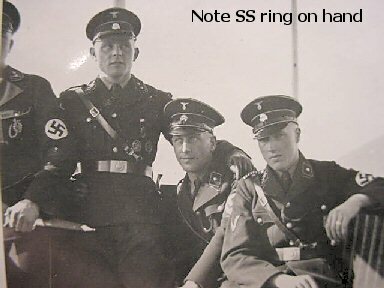 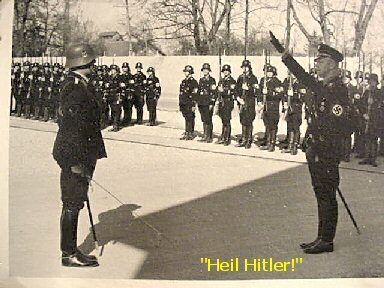 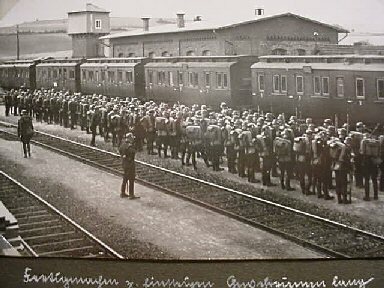 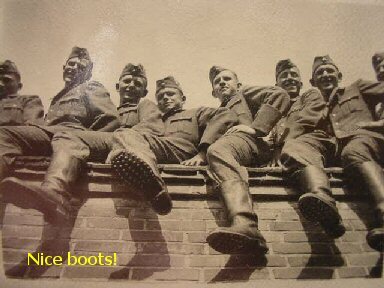 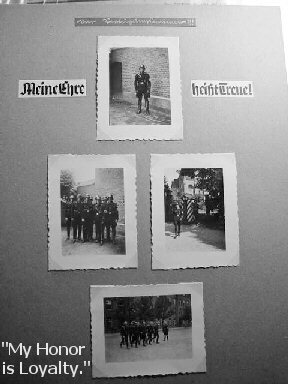 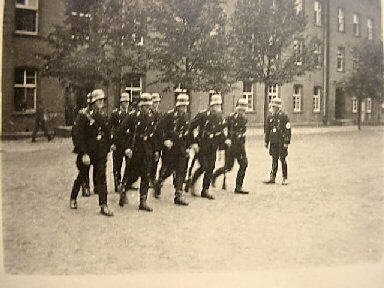 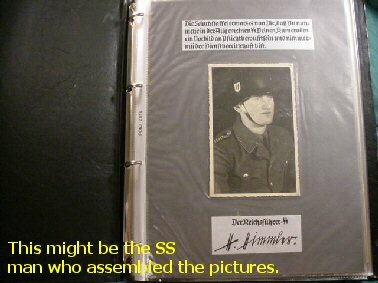 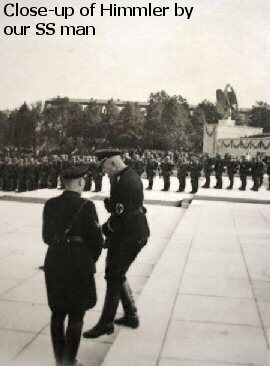 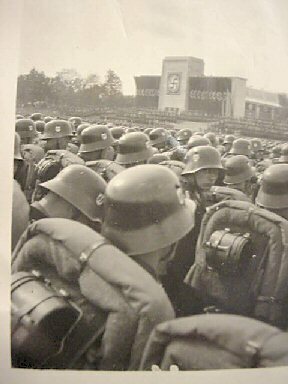 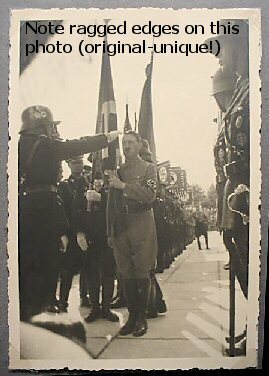 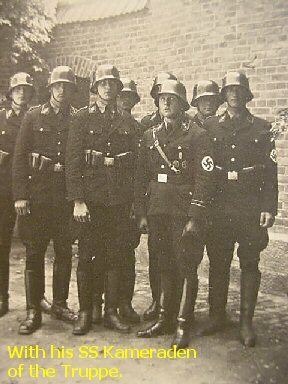 There is a facsimile signature of H. Himmler underneath the picture. 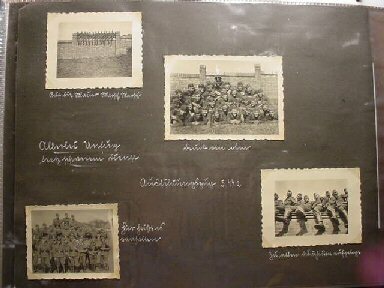 This had been assembled and we could assume that this group of pictures throughout the album would have once been the property of this Rudolf Hoffmann. 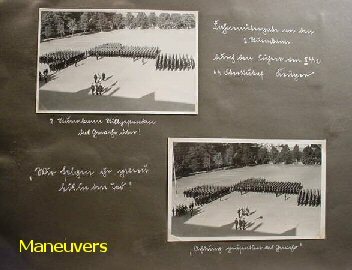 The pictures that abound in the book are of various sizes, most of which are original snapshots varying from 2 ¾ x 2 ¼ inches to 4 x 3 inches and 2 ½ x 2 inches to 3 x 4 ½ inches. 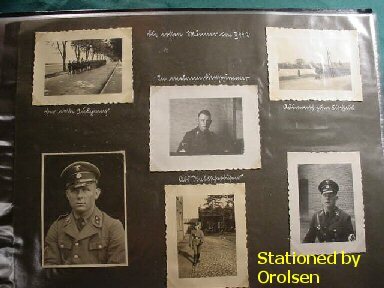 Of these pictures 158 are 100 percent originals apparently taken by this man. 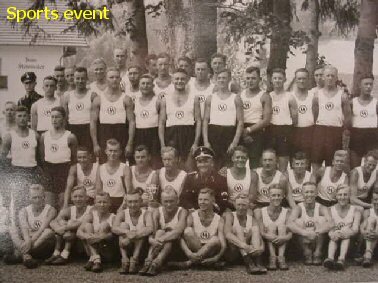 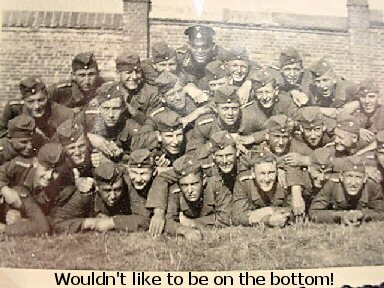 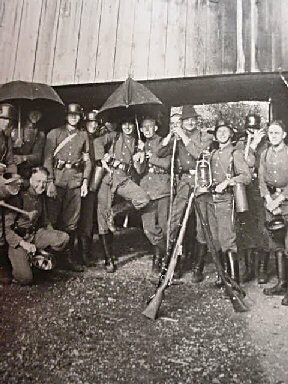 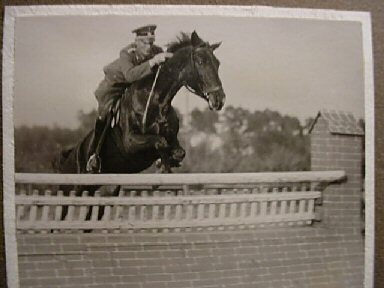 Plus, there are a few nostalgic pictures that are news clippings having to do with incidents and heroes who are evidently known to Hoffmann such as Kurt Daluege and Fritz Klingenberg, Knight's Cross winner. 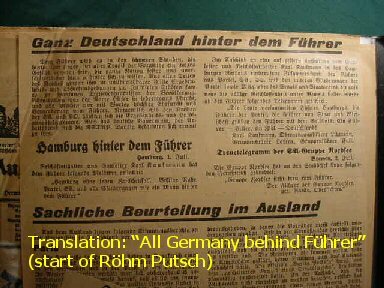 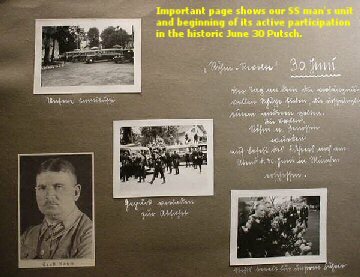 There is a group of clippings about the Röhm Putsch and the subsequent action against the SA Stabchef and fellow conspirators. 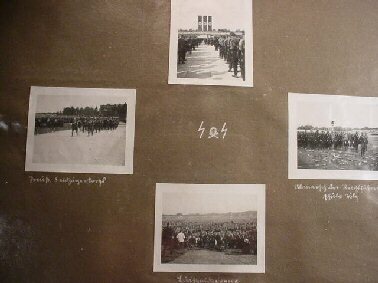 There is a section of the pictures that document this memorable and important event in photos never before published. 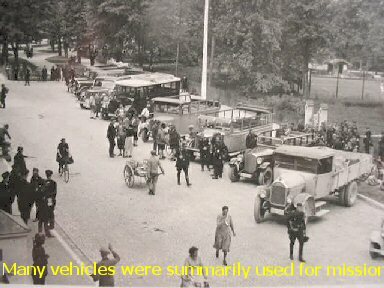 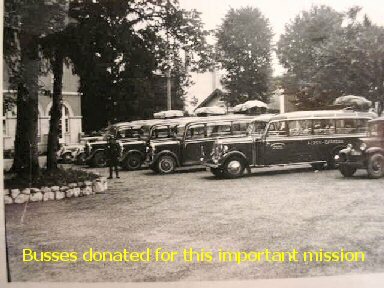 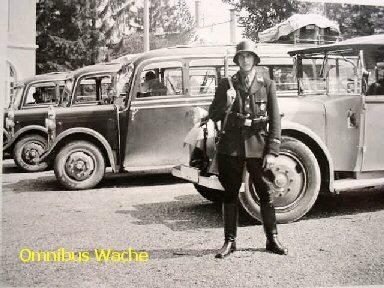 Under a heading (30 June) you see the busses specially commissioned to take the troopers of the Allgemeine-Leibstandarte on their mission in 1934 to put down the insurrection of certain SA factions. 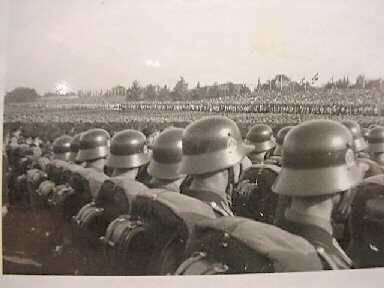 This has been named "The Night of the Long Knives." 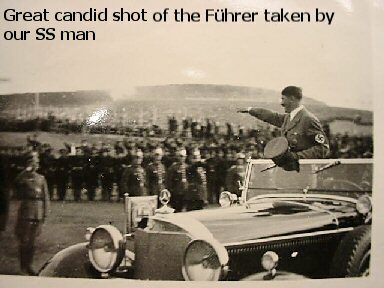 The importance of these pictures is immense! 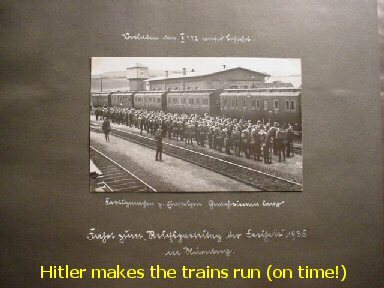 I know of no pictures that have been published ANYWHERE of this fateful mission of the . 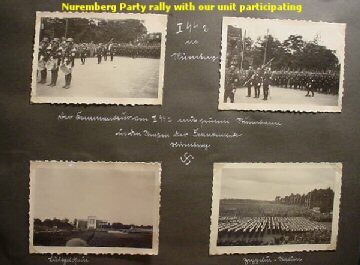 They could almost be considered priceless to the documentation of history as this was the pivotal event that changed the history of the Nazi Party and the other events leading up to WWII and the continuum of events that emanated from it. 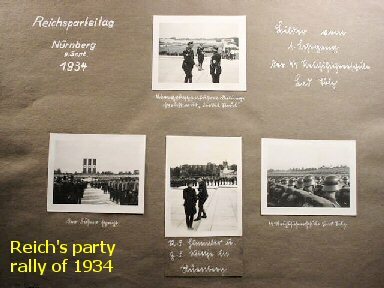 In 42 years of research and the accumulation of hundreds of German albums, many , we have never seen an assemblage of pictures as historically important as these. 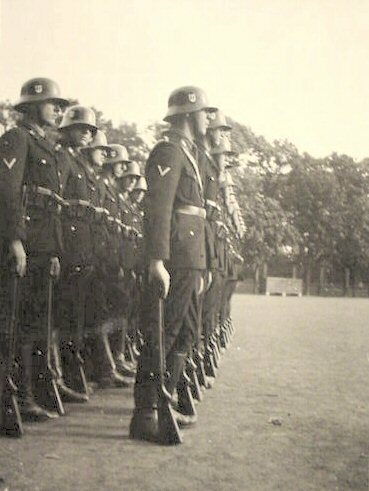 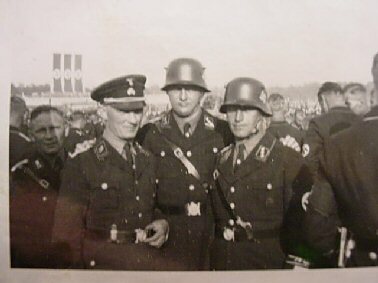 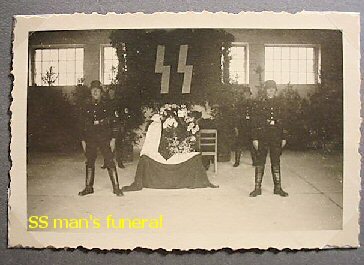 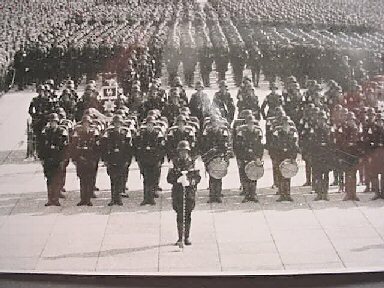 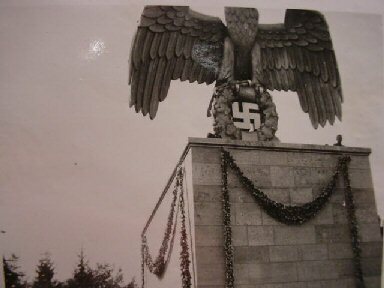 Of course, there are many other great photos here of funerals, changing the guard at the Feldherrenhalle, guard duties, roll calls, parades, officer and enlisted ranks, many Reichparteitag photos with Himmler and Adolf Hitler, himself (candid snapshots) including a great unpublished one of the flag consecrations of the standards, R&R pictures, machine-gun teams, rail movements, encampments, unit fun photos, Allgemeine and Verfügungs-Truppe close-ups of officers and other ranks, tanks, aircraft exercises at the party rally, work details, music corps, etc. 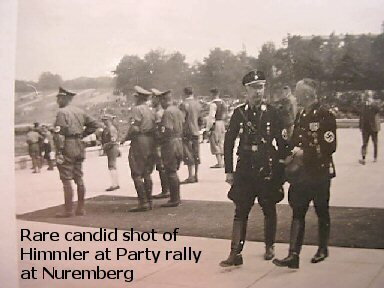 This is a virtual treasure chest of historical photo footage. 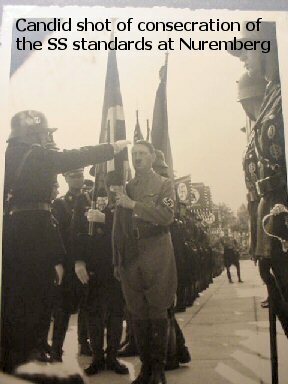 They don't come better than this! 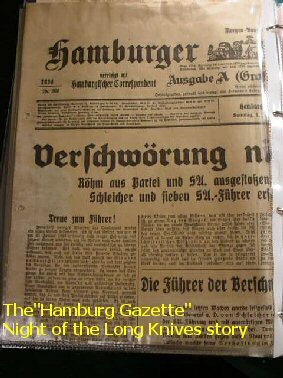 This grouping was purchased with a Heinrich Himmler presentation dagger, which seems to indicate that these HH inscription pieces were indeed given to "Long Knives" participants, although the relatives didn't seem willing to speak of this. 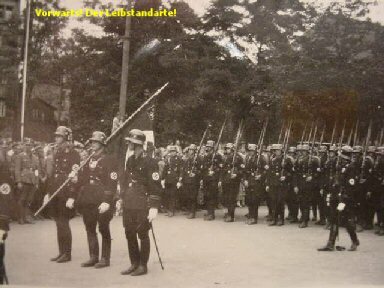 I suppose this is because the foreign-dictated "justice" system in Germany is prone to still punish the men whose honor was loyalty! 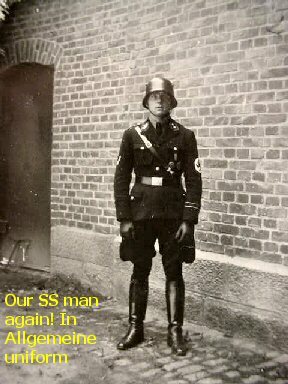 Who knows, but Herr Hoffman may still be alive in the fatherland he loved and sought to protect? 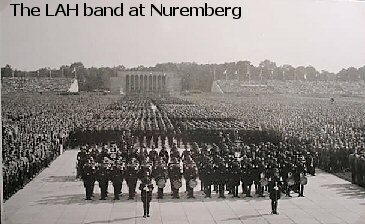 The had another motto and song: "When all were untrue, we remained true."